Roofline has been servicing Kellyville and the surrounding suburbs of Sydney for more than 20 years, providing roof cleaning, roof painting and total roof restoration services. We absolutely love the responses we receive from our customers when they see how our professional roof specialist are able to transform the appearance of their home. Our team of friendly, reliable and qualified roofers provide exceptional quality roof restoration services such as roof painting, cleaning and guttering. We use the very latest in equipment and technologies to ensure you receive the safest and most effective results for your home and family. We are customer focused and provide individual attention to your roofing needs- always! We offer free no obligation quotes so why not get in touch today to see how we can help you with your roofing needs. We derive a large portion of our business from satisfied customers and referrals. That’s why for us, customer satisfaction is one that our team strives to deliver. Roofline can provide you with a number of options for your roof restoration, we pride ourselves on consistently delivering premium outcomes for each of our valued customers and work with your budget and specific property needs. Delivering outstanding customer service and premium quality workmanship is something we do every time! Rooflines’ teams are industry roofing experts and employ the best modern and innovative techniques using premium quality materials to deliver fantastic aesthetics. A quality roof restoration project is a great way to modernize your home while protecting your roof from water and weather damage. Our services range from complete tile replacement and repointing to basic painting and restoration and/or a combination of all of the below services. Metal surfaces such as Colorbond®. Terracotta tiled roofs -Roofline is proud to be one of the few Australian companies that specialise in painting terracotta tiled roofs. If you are thinking of selling, often a poorly maintained, faded or unkept roof can leave potential buyers with the first impression of an aged home. Rooflines are able to refresh and modernize your home while saving you the cost of replacement. High-pressure cleaning can remove the build-up of moss, lichen and debris and the results are extremely effective and provide instant roadside appeal. Our teams have many years of industry experience, so you are assured of expert advice from professional teams who will provide safe and effective services at surprisingly low cost. If you are looking for a reputable gutter installer Roofline should be your first port of call. Our qualified roof plumbers are equipped to professionally and competently install quality gutters and specialise in custom-made flashings as well as custom-made box guttering. Call us today for a measure and obligation free quote. Does Roofline offer any guarantees? Absolutely! We do more than just standard assurances we offer a 10-year written guarantee on materials and a further 7-year guarantee on our workmanship. Does Roofline service residential properties only? We have professional teams who specialize in a variety of roofing services for both commercial and residential properties. 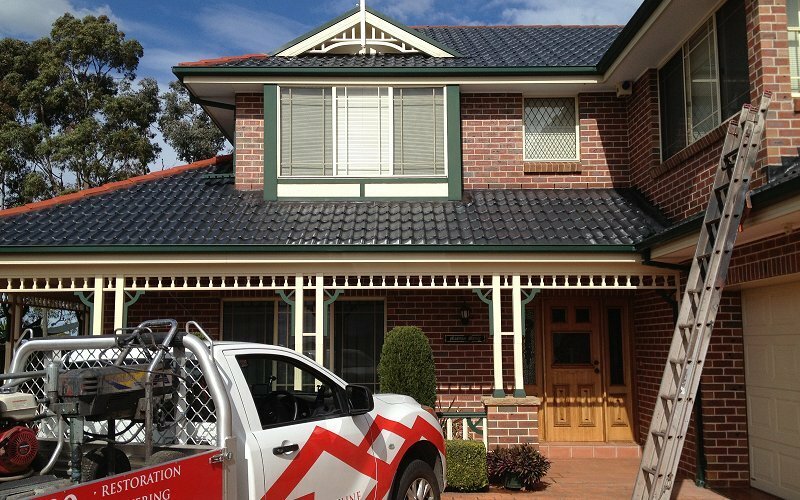 Rooflines have been servicing the suburb of Kellyville and surrounding areas of Sydney for over 20 years. Can Rooflines assist with exterior maintenance? We take immense pride in our work which is a visual testimony of our attention to detail and neat work procedures, just another reason why we are consistently recommended. Call us today for an obligation free quote.